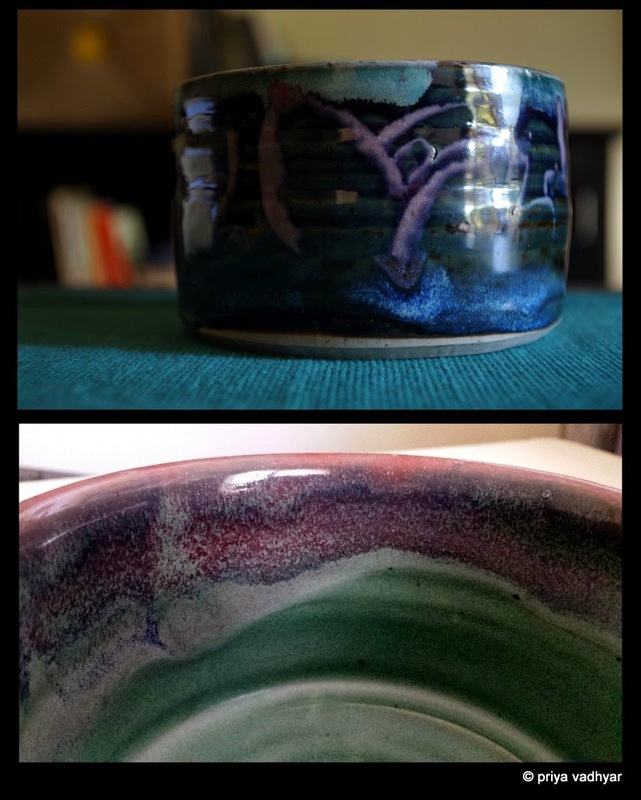 As promised, here is the second installment of the ceramic bowls and pots. In the first part of this post, I spoke of surprises. 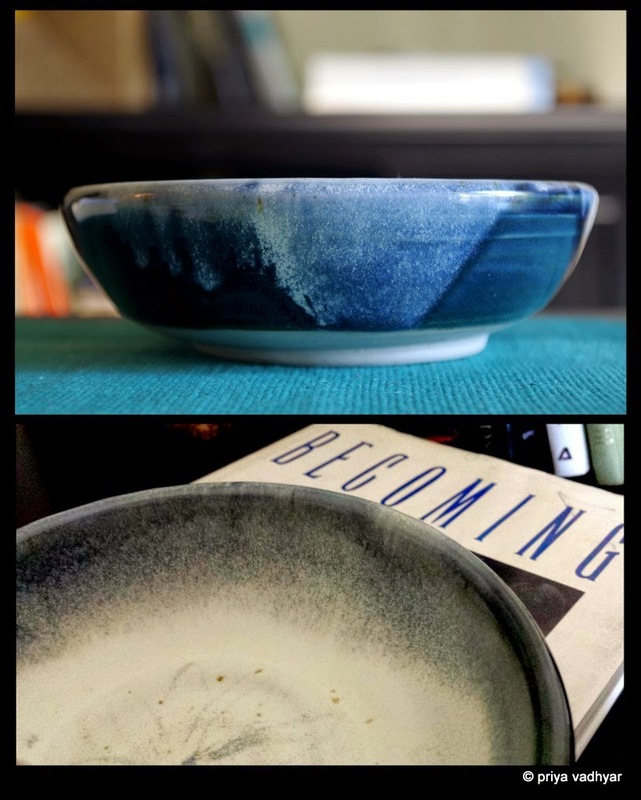 This time I welcome you to enjoy the snowy landscape inside the first bowl and the sun burst which overflows from the second bowl. 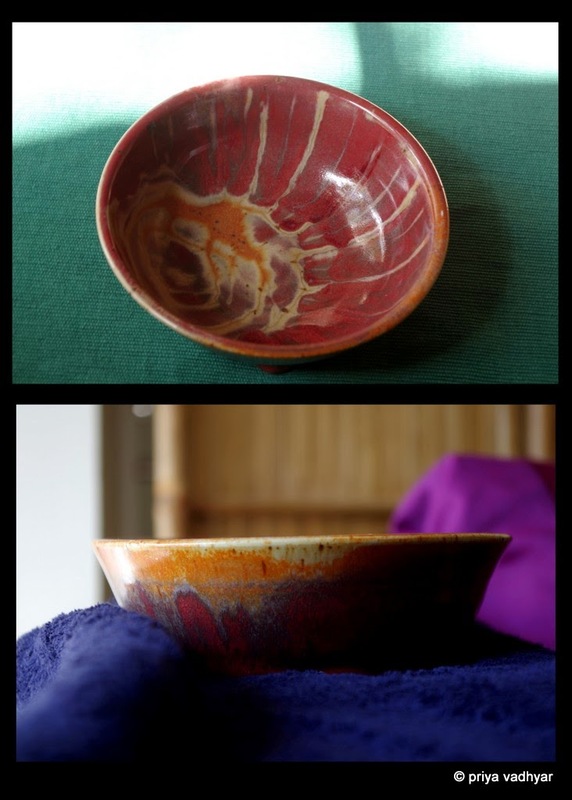 Then there is the gentle blue snow in the third bowl and the undulating hills inside bowl four. 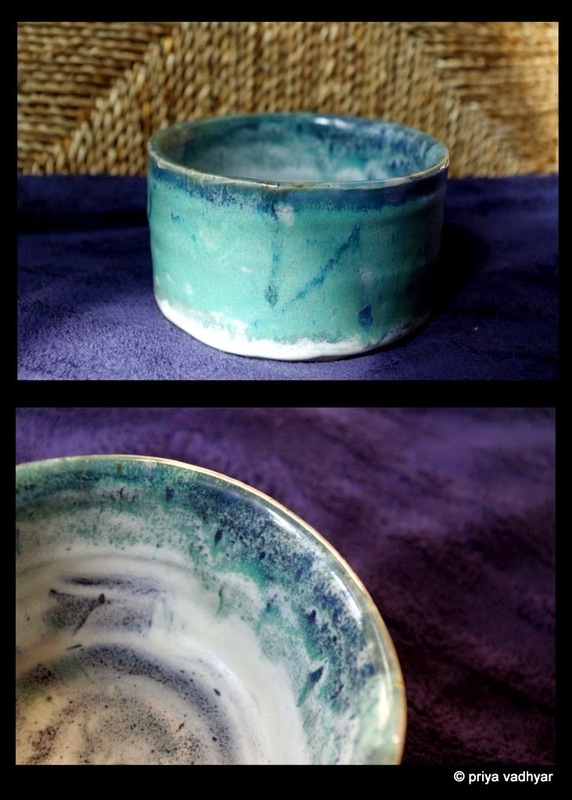 Lastly, there are the two pots, tiny but lovely. I mentioned in part 1 that I was taking the class at Columbia Art Center again. It's been a very productive session. 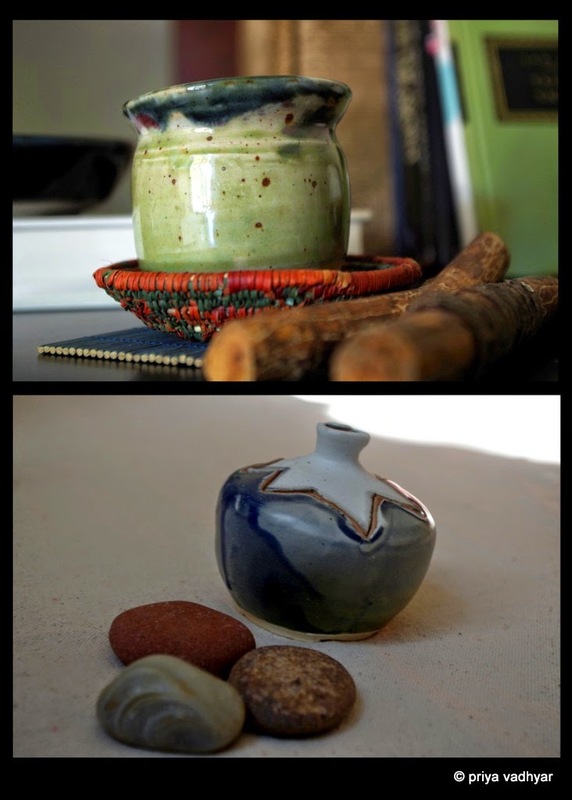 We are in week eight now and I have made teapots, bowls, plates, mugs and jars. Photos of those soon. Until then, enjoy! Beautiful work. I also liked these photographs. Nice. Keep up the good work.